Toyota Etios Cross is a well-groomed hatchback, which has won over millions of hearts as soon as it entered the Indian car market. The Bluetooth connectivity is missing in the car, which makes it a bit low in the graph as compared to its competitors. Its major rival, Hyundai i20 has been blessed with the same feature. 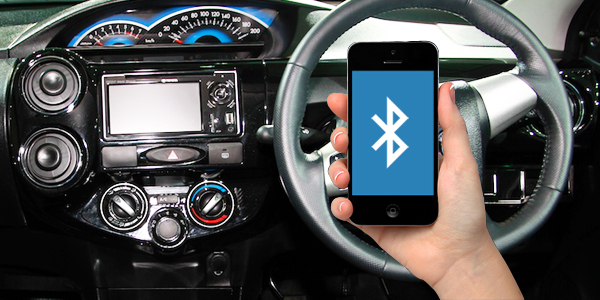 This Bluetooth interface is quite impressive, all one has to do is to keep the Smartphone on discoverable mode and connect it with the car speaker. This will permit you to answer calls while driving the hatchback and also allow you to play audio files from your phone without any wired connection. However, the music system is not available with Bluetooth connectivity, but it does have Aux-In and USB support. The power steering wheel makes the handling easy as a cakewalk. Apart from this, Toyota Etios Cross also comes with efficient air conditioning unit, rear AC vents, huge glove compartment, head restraints, high quality fabric upholstery etc. The variants of Toyota Etios Cross that offer bluetooth connectivity as standard include V, VD. The variants of Toyota Etios Cross that do not offer bluetooth connectivity as standard include 1.2 X Edition, 1.4 X Edition, G, GD.